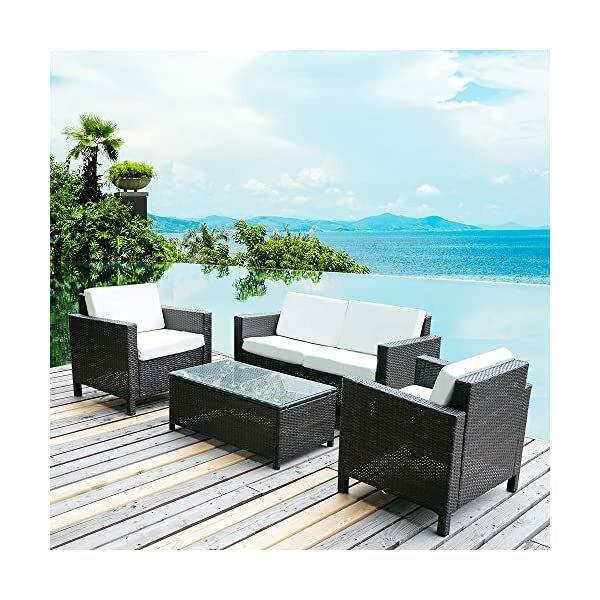 This upgraded elegant patio furniture set is constructed from hand woven weather-resistant PE rattan and durable long lasting metal frame, which is ideal as a part if any outdoor design scheme. 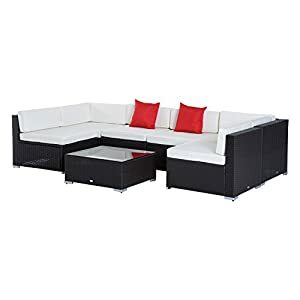 Compatible with larger and wider loveseat and single seats along with thick padded sponge cushions, this set offers you ultimate comfort and ample seating feelings. Tempered glass-topped coffee table is easy for cleaning and allows you to places drinks, meals, or serving platters. 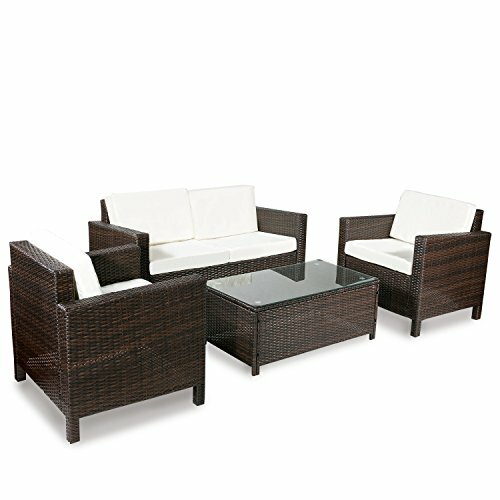 Perfect for summer afternoon relaxation or fun get-togethers in the cool evenings, this elegant wicker set is a stylish addition to any home. 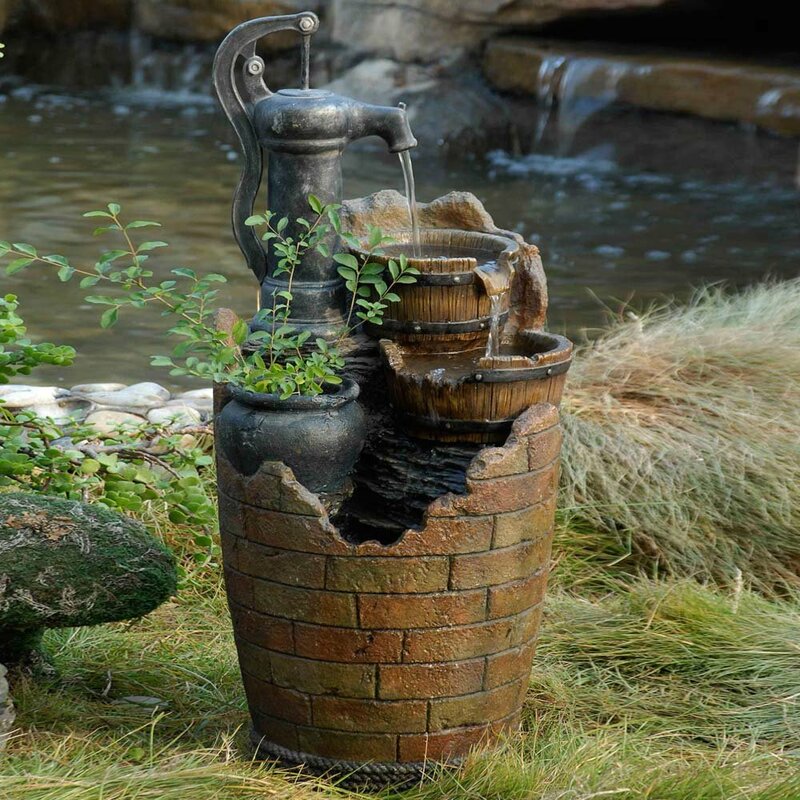 The fashionable wicker and modern design complements any space and the durable construction will make this piece a favorite of yours. 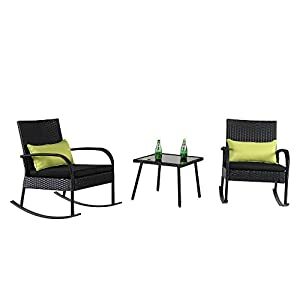 Available in two distinct color combinations, this wonderful four-piece conversation set is ideal as part of any outdoor design scheme. 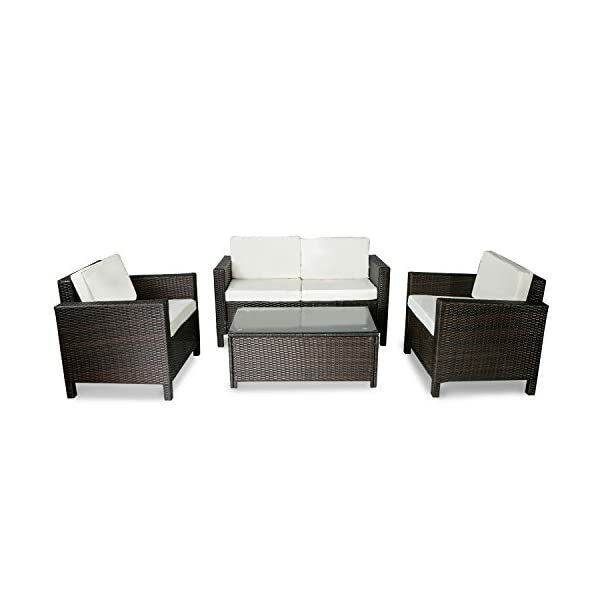 Set features sturdy metal frame with PE handmade rattan, glass tabletop, and thick padded cushions. 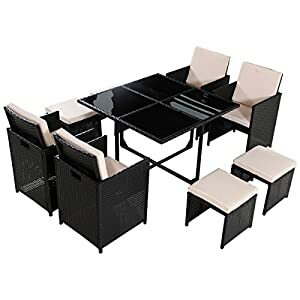 Includes 1 x loveseat, 2 x single chairs, 1 x coffee table with tempered glass, 3 x cushions. Notice: Items may relatively different from photo relating to color because of the lighting all through photo shooting or the monitor’s display. 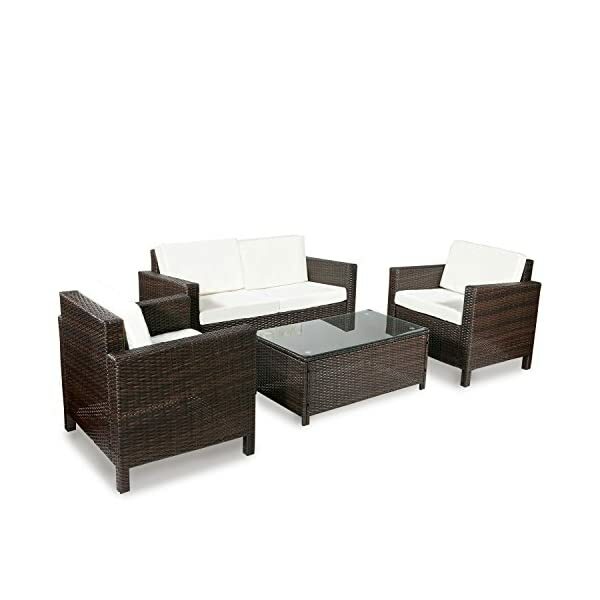 Compatible with larger and wider loveseat and single seats at the side of thick padded sponge cushions, this set will give you ultimate comfort and ample seating feelings. Tempered glass-topped coffee table is easy for cleaning and lets you places drinks, meals, or serving platters. 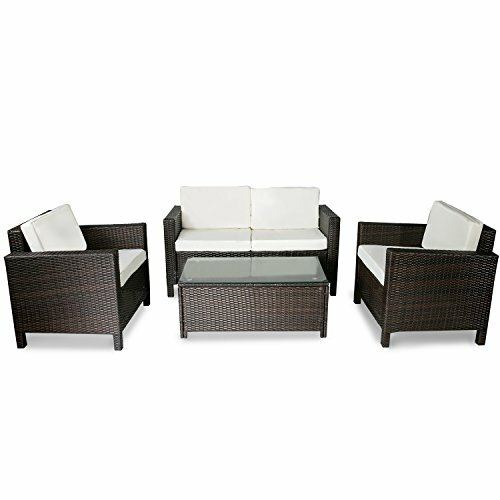 Available in two distinct color combinations, this wicker sofa set is a stylish addition to any small deck, home, or garden. Hang out on the comfortable seat cushions even as the kids splash in the pool to make your days a little more enjoyable.